The babyhood Compactum Bath and Change Table is designed to make bathing and changing your baby easier as you can finish bathing and changing baby all in the one space. With great features such as the flip over change mat and an easy drain bath so you do not need to break your back draining the water, you can now bath and change your baby all at the same time. The soft vinyl change mat is easy to keep clean and is so fresh and bright that it will look good in any space. 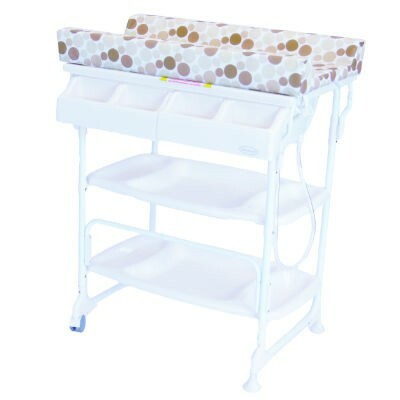 The Compatum Bath and Change Table can be easily stored with its compact folding mechanism and for added safety the bath has non slip leg covers for extra stability.